Just the thing to add those finishing touches to your party balloons. Ideal for a cluster of latex balloons, for your themed foil balloon, a balloon table centrepiece, favours or for wrapping gifts and prizes. 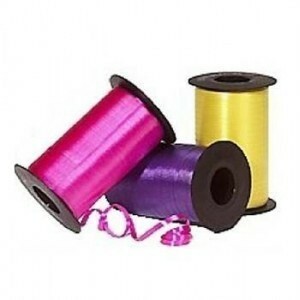 We will supply you with curling ribbon 6mm wide and in the lengh that you choose.. Please select the colour you would like below.